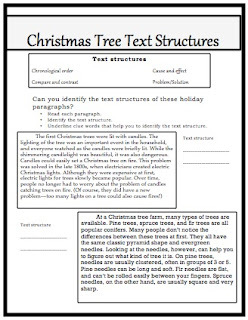 If it's December, I must be pulling out my hair over text structure! It seems that every year around this time I get to wondering where I went wrong. Earlier this week I remembered that I'd written a few little texts about Christmas trees several years back. A little formatting work and I made something that would be a nice text structure review. 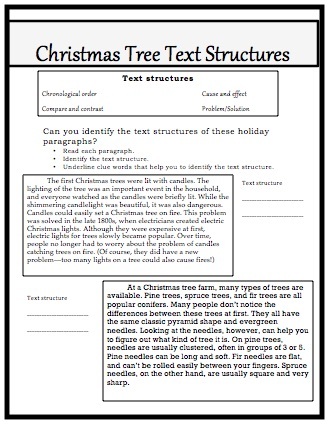 You can pick it up free over at TeachersPayTeachers: Christmas Tree Text Structures.